As most of you’ll have noticed from the Google doodle posted today, May 9th 2012 is the 138th birthday of Howard Carter, the archaeologist celebrated for discovering the tomb of Tutankhamun. While many know him for that achievement, his original training was as an artist and some of his most notable work may actually be the incredible artistic records he produced, some of which may be viewed here. While other Egyptologists such as Champollion and Petrie were famed for their scholarly advances, Carter superseded them in the public imagination with a discovery borne out of perseverance and a bit of luck. The discovery undeniably advanced our understanding of ancient Egypt massively overnight, and the vast range of objects in such a hastily assembled, minor king’s tomb is but a hint of what would have been discovered in the tombs of the greatest kings of the New Kingdom. The discovery has inspired future generations of Egyptologists and archaeologists, and the objects themselves have contributed to our understanding of everything from ancient Egyptian flora and clothing to boats and furniture. Recording and removing the objects from the tomb took Carter 10 years, and with this sheer volume of objects, the finds are still being published today. It has been estimated that if publication continues at the present rate, it will be another 200 years before thorough records and studies of the finds are made! Luckily the Griffith Institute Archives in Oxford, which I’ve written about previously more fully here, has digitized the thousands of record cards, photographs, and diaries from the excavation and made them publicly available online. This important endeavour has taken fifteen years and I highly recommend exploring the site if you haven’t already! It may be that the populist appeal of the tomb’s treasures and often sensationalist slant to the endless media interest have put off some scholars from working more on the Tutankhamun objects. 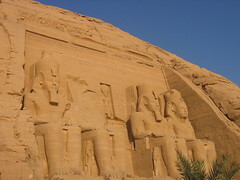 Nevertheless, research continues today on the objects, and in addition to Joyce Tyldesley’s recently published general interest book, publications in the past few years include works on the various chairs and seating furniture found in the tomb, Tutankhamun’s footwear, and DNA testing performed on his mummy. Further research on the chariots found in Tutankhamun’s tomb will be presented at the First International Chariot Conference in December later this year. Despite these advances, last year, the legacy of Carter’s discovery was threatened by the looting of the Egyptian Museum in Cairo. The following video of a powerpoint presentation from the second seminar of the World Wide Archaeology Commission in cooperation with the Egyptian Museum shows which museum cases were broken into and, using before and after photos, demonstrates the extent of the damage to the objects, the restoration process, and the final result. Although some of the stolen Tutankhamun objects were recovered, many remain missing today. Archaeology is fundamentally a destructive process and it is only through keeping thorough records that we can hope to make sense of what we discover about our past. 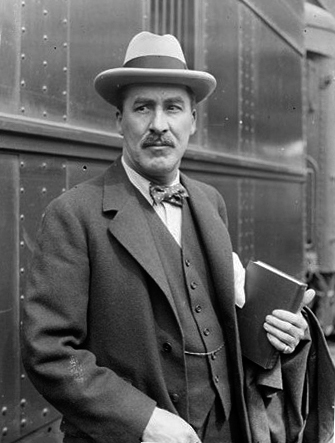 Howard Carter’s initial involvement in Lord Carnarvon’s search for Tutankhamun resulted from his recommendation as an assistant to ensure proper archaeological recording. The best way to protect and preserve the objects of Tutankhamun’s tomb for the future is to continue to pursue their careful study and publication and share our knowledge with all. It may have seemed just a typical grey winter’s day in London yesterday, but in a small room on Great Russell Street some very different scenes were unfolding. Beautifully attired men and women gathered for a banquet, watching musicians and dancers, with huge vats of wine wreathed with floral garlands and tables heavily laden with a rich array of food and bouquets of exotic flowers. Nearby, a family was out together on the water for a pleasure cruise and hunting trip, enjoying the beauties of nature as flocks of brightly coloured birds, fish, and butterflies rose in great swirls of movement around them. Yesterday at the British Museum, the tomb paintings of Nebamun, some of the most famous images in Egyptian art, were finally unveiled again in a new permanent gallery after 10 years of conservation. On Tuesday night I attended a reception for the opening of the gallery. It was a moment that many people worked long and hard for, from the conservators to the museum assistants, and not least its curator Richard Parkinson. And it was a triumph. It is not only the extraordinary paintings, beautifully restored, that make the gallery such a success–the remarkable reorganization of their display and the design of the gallery completely transforms the way visitors will interact with the museum’s Egyptian collection. In the past, hundreds of monumental stone sculptures and crowd-thrilling mummies have dominated the museum’s displays, but now visitors will have a chance to see the Egyptians as ordinary people just like them, filled with hopes, fears, and desires. The design of the gallery with its lovely limestone panelling conveys the feeling of the actual tomb. The gallery is small enough to give it a feeling of intimacy, without feeling confined–I only hope it can withstand the extent of the crowds that often swarm through the museum. Before the paintings were removed from display for conservation purposes (a complex process that involved everything from removing harmful plaster of paris backing to reversing Victorian ‘corrections’ made to the paintings! ), they were previously displayed in frames, arranged along the wall as if in an art gallery. 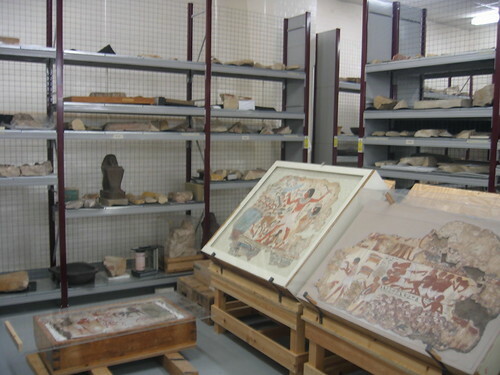 The paintings are now arranged according to their likely original locations in the tomb, exhibited on a slightly reclining angle to protect them. Their new integrated display allows the tomb’s message to speak, rather than imposing a Western concept of art on them. It allows the paintings to be exhibited in a way that conveys a sense of their original connectedness, giving a sense of the original unified design space–a place commemorating Nebamun, where friends and family could visit and bring offerings for his spirit in the afterlife. To further convey the sense of what the tomb would have been like, there is video display of a digital recreation of the site and tomb interior, which should also be online soon in an interactive version. Another remarkable touch is that if you look through the cases that display daily life objects from that era, you can see through to the paintings hanging beyond and actually see the painted depictions of incredibly similar items being used by Nebamun, his friends, family, and workers. Amazingly the cases containing the paintings themselves use non-reflective glass so there’s no glare to impede your view- it almost feels like the glass isn’t there at all. Several people spoke during the evening, including the director of the museum and the Times Briton of the Year, Neil MacGregor, who spoke amongst other things about how the gallery would bring visitors in touch with real ancient Egyptian people, for example the amazingly preserved loaf of bread that still bears the fingerprints of the baker. Sir Ronald Cohen, known as the father of venture capitalism, who generously contributed to the funding of the gallery. His personal involvement in the region is an extraordinary story. Cohen is the British son of a Syrian Jew and was born in Egypt. In 1998, he was presented with Israel’s highest tribute, the Jubilee award, as “one of the visionaries who have done the most to facilitate Israel’s integration into the global economy”, and then in 2005 he established the Portland Trust to help the Palestinians “build up a powerful economy . . . based on a deep level of interdependence with Israel”. He spoke very eloquently about naming it in honour of his father Michael Cohen, a lovely gesture that echoes the image of Nebamun being honoured by his son. 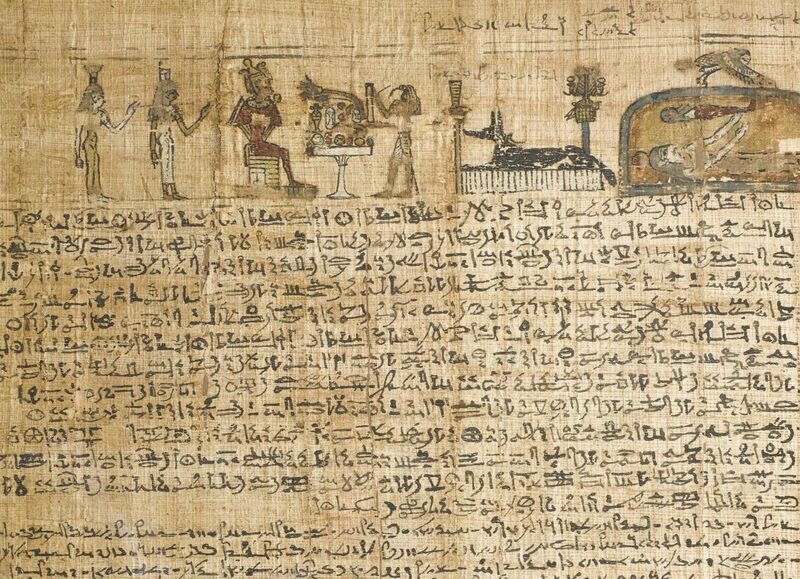 The new Egyptian ambassador to Britain, who officially opened the gallery, used his speech to highlight parallels between the current situation in the Middle East and the Amarna correspondence, written shortly after Nebamun’s life, in which chieftains in the region of Palestine wrote to the Egyptian pharaoh asking for help defending themselves against attacking forces. During the course of the evening, I also spotted Cherie Blair eagerly looking around the gallery. If you’d like a little taster of what to expect, there are some great videos featuring footage of the paintings and the new gallery itself and interviews with Dr. Richard Parkinson, the Egyptologist who masterminded the whole project at the Telegraph and the Times. Over the past few years, I myself was very lucky to haveÂ the amazing opportunity to work the paintings over the summer months that I spent as a curatorial intern at the British Museum. When I was a teenager, I actually had a poster of the painting of Nebamun fowling in the marshes in my room, so needless to say it was an extraordinary experience. One of the things I was able to do was contributing to the descriptions of the paintingsÂ in Chapter Three of the book ‘The Painted Tomb-Chapel of Nebamun: Masterpieces of ancient Egyptian art in the British Museum‘. For this task, my fellow intern Ally and I sat in front of them for hours, examining them in minute detail and considering the individual brushstrokes. Every time I looked at them, a new detail would catch my eye. The paintings are incredibly skillfully produced, exhibiting numerous delicate techniques used to produce various textures and effects. But at the same time, they are no means perfect, the erosion of the paint revealing original sketch lines, corrections, and gridlines. There is a liveliness to the innovative composition, tightly interweaving figures to produce both movement and a wonderful sense of harmony. While many of the images are standard scenes that had been appearing in tombs for hundreds of years, the artists managed to breathe fresh life into them, in ways never seen before in Egyptian art. In the course of their conservation and examination, wonderful details were newly noted that had somehow never been observed before since the paintings arrived at the British Museum 190 years ago, such as the real gold used on the cat’s eye and the green paint on the left-hand side of the garden scene that can be reconstructed as a large sycomore fig tree. The value of the paintings lies not only in their artistic merit though, but also in what they can tell us about Egyptian life. 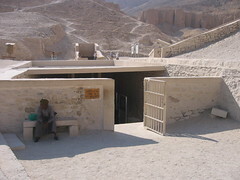 The gallery isn’t solely devoted to the paintings of the tomb chapel of Nebamun. Under the curatorship of Dr. Richard Parkinson, objects that further illuminate the lives of the people illustrated in the paintings have been woven into the gallery to infuse our understanding of the idealized Egyptian life depicted in the paintings with details of the realities. You can see the colourful painting materials and slightly unwieldy-looking brushes with which the artists worked their magic, as well as the possessions of both the rich and the poor, from fishing nets to board games to dazzling jewellery. It was very interesting to see the process of choosing the objects to be displayed go through various stages of selection and whittling down. Like most museums, the British Museum can only display a fraction of their collections, partially due to space limitations and repetition of objects, but also because there is a delicate balance to be achieved in what is useful to furthering visitors’ knowledge and how much they can absorb. While it would be nice to include as many objects as possible, cluttering a small space might mean that people miss seeing key artifacts and lose sight of the message the gallery is trying to convey. It’s not just a desire for clarity that can be restrictive though, there is also consideration of the preservation of the objects. The most impressive object that didn’t make it into the final gallery was a magnificent finely-woven linen tunic, which would have needed such low lighting to preserve it from further degradation that you wouldn’t have been able to see the rest of the objects! One of the other tasks I helped out with in preparation for the new gallery was a final desperate attempt to shed more light on the whereabouts of the lost tomb from which the paintings had been brutally removed so long ago. Although we know Nebamun’s tomb was located in Dra’ Abu el-Naga, we know little more. In vain, I scoured published archaeological records like Friederike Kampp’s survey of Theban tombs for any shred of evidence that might point to a known tomb being a potential location for Nebamun. 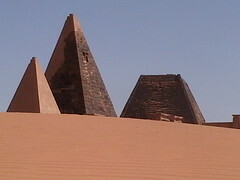 While there were quite a few other Nebamuns buried in the area, all of them had details that ruled the BM’s Nebamun out. I wasn’t even able to identify a single tomb dated to the right era that was lacking any other defining information. There is a slim possibility that Nebamun’s tomb may still lie buried under further accumulations of debris, waiting to be rediscovered, but it may be so completely destroyed that it will forever remain unidentifiable. The good news though is that now that the paintings have been restored and put on display again, Nebamun can be rediscovered by millions of people from around the world, and the gallery will breathe life once again into our understanding of the lives of the ancient Egyptians, who were so much more than just the sum of their statues and mummies. 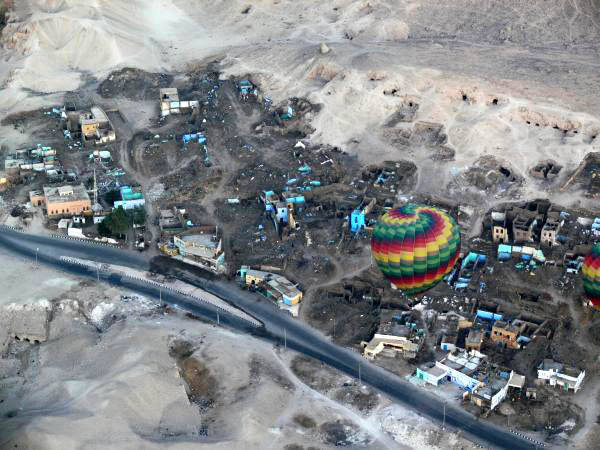 From a wonderful collection of aerial photographs over Luxor, an incongruously colourful but sad view of the bulldozed village. A blockbuster exhibition of the treasures of Tutankhamun and other ancient Egyptian artefacts from the Cairo Museum has been travelling the world recently. However, the one thing that everyone wants to see, one of the most iconic artworks of all time, will not be on display. The last time Tutâ€™s treasures travelled, almost thirty years ago, the tour inspired the kind of Egyptomania that had not been seen since the discovery of the tomb itself in 1922. It had a huge impact on many people. Although it happened before I was even born, my mother still has the King Tut mugs that she had bought at the exhibition in Toronto and my godmother was able to give me the newspaper clippings about it that she had saved, perhaps because of some mysterious prescience of my future passion but more likely just because it was widely acknowledged as the most exciting exhibition of the era. The current tour is enjoying huge success, smashing attendance records, and raising a huge amount of badly needed money for the museums in Egypt. It is due to visit the former Millennium Dome in London in November and is generating a lot of interest already. A couple of months ago, when I was in the British Museum with one of the curators, random staff members kept stopping us to ask about the exhibit! Unfortunately, everyone seems incredibly let down when they learn that the famous golden death mask will not be a part of the exhibition as it is too fragile to travel. Iâ€™ve even heard people wonder why anyone would bother to go! While it IS disappointing, Iâ€™d prefer NOT to see it rather than risking destroying one of the most precious artefacts in the entire world. Itâ€™s an extra incentive to travel to Egypt itself and there will be lots at the exhibition that will make up for itâ€”the tomb was overflowing with beautiful objects, and the tour will bring attention to the many treasures that are often overlooked, as well as other non-Tut items too. But while Egypt is not allowing the death mask to travel, in the meantime, it is demanding that other museums around the world send famous Egyptian objects back to their homeland. Zahi Hawass is asking to borrow the Rosetta Stone and the bust of Nefertiti, among other items. And while some museums are planning to acquiesce, the Berlin Museum is refusing, stirring up a furore in Egypt. Although a number of Germans are actively supporting the loan, the Berlin Museum is using the same argument that the Egyptians used for keeping Tutâ€™s death mask from travellingâ€”it claims that the Nefertiti bust is too fragile to travel. This could quite possibly true. However, Zahi Hawass is not convinced and is threatening to declare the bust stolen property and start legal action to have it returned to Egypt permanently. I think that the loan concept is an incredibly good one, allowing Egyptians the opportunity to see the objects without asking museums to give up their prize attractions, and I really hope that all the requests can be honoured. The politics of the whole situation are incredibly complex though, and what with the famous Elgin Marbles controversy, it is possible that Berlin fears that the Egyptians would attempt to keep the bust for good if they handed it over. Apparently, the British Museum isnâ€™t afraid of this though and it taking the request for the Rosetta Stone under serious consideration. Loaning artefacts is a good compromise between Egypt and the museums, but I hope that people respect that the safety of the treasures themselves should not be compromised for the sake of this project. 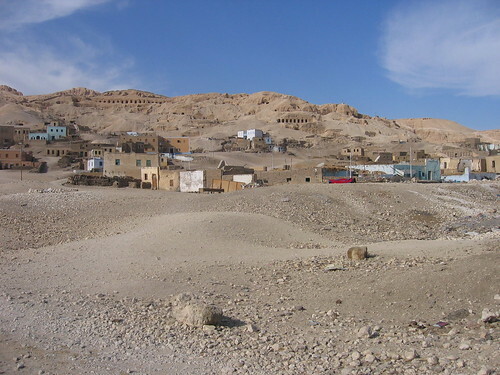 I heard from someone in Egypt that many Gurna houses have been ruthlessly bulldozed and that their violent destruction has more than likely damaged beyond repair any unknown tombs that might still have survived beneath them. So much for relocation for the sake of archaeology! A short while ago, I had the privilege of being given a tour of the Griffith Institute Archives here in Oxford by its director, Dr. Jaromir Malek. It is one of the most renowned Egyptological archives in the world and it houses among many other things, all the personal papers of Howard Carter, the excavator of the tomb of Tutankhamun. It seemed almost as chilly as outside when we ventured into the archive room, which is constantly kept at 18 degrees to preserve the fragile documents it houses, but as I glanced up at the famous portrait of Carter, that Iâ€™d seen reproduced many times in books, hanging on the wall, I knew that there were many â€˜wonderful thingsâ€™ to come. You can see them for yourself on the Griffith website here. Also, check out some of the other links Iâ€™ve included and take a look at the amazing resources the Griffith has made available online. Excavation reports are a key feature of the Griffith’s collection. It is important that the archive stores every recorded detail of an excavation, since the importance placed on different archaeological evidence varies over time and it is always possible that new discoveries may be made from old records. The most famous excavation papers at the Excavation reports are a key feature of the Griffith’s collection. It is important that the Griffith are those of Howard Carter and the legendary discovery of the tomb of Tutankhamun, which have not been fully published yet. However, the Griffithâ€™s remarkable website, entitled ‘Tutankhamun: Anatomy of an Excavation’, allows most of these records to be accessed on the internet and offers an in-depth behind the scenes look at the dig. Itâ€™s most fortunate that theyâ€™re being digitizedâ€”the Griffith calculated that if publication continued at the present rate, it would be another 200 years before the records were all made publicly available! Here you can read the transcripts of Carter’s diaries and journals which document everything from the excavator’s thoughts at the initial find, to the tomb’s momentous unveiling, through the long, hard years of actually recording and cataloging all its contents. The first hint of the discovery of the tomb appears as a simple jotting in Carter’s appointment diary. The small book has Lett’s No. 46 Indian and Colonial Rough Diaries 1922 written on the front and inside, the entry from Saturday, November 4 only has the scribble ‘First steps of tomb found’, indicating Carter’s unawareness of the momentousness of his find. The entry from Sunday, November 5 states, ‘Discovered tomb under tomb of Ramses VI. Investigated same & found seals intact’, by which time Carter would have realized that he was dealing with the thrilling prospect of an unknown but undisturbed tomb. The excavation was a Herculean task, the work of simply clearing the tiny tomb and cataloguing all the objects taking over 5 years, the records consisting of roughly 3000 cards and 2000 photographs. While the excavation is often portrayed as a one-man show starring Howard Carter, a number of the great Egyptologists of the age volunteered their services. Looking at the card records for object number 91, Tutankhamunâ€™s famous throne, Alfred Lucas (best known for his milestone Ancient Egyptian Materials and Industries) did restoration work for the object using celluloid cement, and the renowned Sir Alan Gardiner (of Gardinerâ€™s Grammar fame) recorded the inscriptions. Much of the excavation work was aided by Percy Newberry and Arthur Mace. One of the photos in the collection, taken perhaps by Lord Carnarvon, shows some of these Greats of Egyptology actually luncheoning inside the tomb of Ramesses XI! Seated from left to right in the photo are J. H. Breasted, Harry Burton, Alfred Lucas, Arthur Callender, Arthur Mace, Howard Carter and A. H. Gardiner. This remarkable array of individuals sounds rather more like the gathering that an Egyptologist today might dream up if asked which famous people, dead or alive, one would invite to a dinner party! Iâ€™m not sure the Supreme Council of Antiquities in Egypt would allow anyone to have elaborate picnics in any of the tombs anymore though!